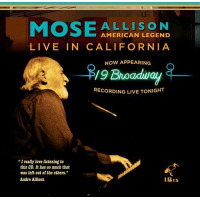 Mose Allison was born in the Mississippi Delta on his grandfathers farm near the village of Tippo. At five he discovered he could play the piano by ear and began picking out blues and boogie tunes he heard on the local jukebox. In high school he listened to the music of Louis Armstrong, Fats Waller, Duke Ellington, Louis Jordan, and his prime inspiration, Nat Cole of the King Cole Trio. He played trumpet in the marching and dance bands and started writing his own songs. After a year at the University of Mississippi, he went to the Army in l946, playing in the Army Band in Colorado Springs and performing with accomplished musicians from around the country in small groups at NCO and Officers clubs. Returning to Ole Miss he joined the dance band as arranger, piano and trumpet player, but shortly left to form his own trio, playing piano and singing in a style heavily influenced by Nat Cole, Louis Jordan and Erroll Garner. After a year on the road, Mose married, returned to college at Louisiana State University and graduated in 1952 with a BA in English and Philosophy. He worked in nightclubs throughout the Southeast and West, blending the raw blues of his childhood with modern pianistic influences of John Lewis, Thelonius Monk and Al Haig. His vocal style was influenced by blues singers Percy Mayfield and Charles Brown. Arriving in New York in 1956, Mose received encouragement, work and a record date from Al Cohn. In 1957 he secured his own first recording contract with Prestige Records, recording Back Country Suite, a collection of pieces evoking the Mississippi Delta, released to unanimous critical acclaim. Mose went on to play and record with jazz greats Stan Getz, Al Cohn, Zoot Sims and Gerry Mulligan as well as with his own Mose Allison Trio. Mose continued working with his own trio, writing and singing his own songs. His songs are a fusion of rustic blues and jazz, embellished with profound and often humorous lyrics. As a pianist, while admiring jazz masters Bud Powell and Lenny Tristano, he also learned from composers such as Bartok, Ives, Hindemith and Ruggles. The fusing of these diverse elements into a cohesive performance continues today. A biography, One Mans Blues: The Life and Music of Mose Allison, written by Patti Jones, was published in 1995 by Quartet Books Ltd. Of London. Mose continues to write and perform all over the world. His songs have been covered by Van Morrison, John Mayall, The Who, The Clash, Eric Clapton, the Yardbirds, Elvis Costello and Bonnie Raitt to name a few. Van Morrison recorded a tribute album, Tell Me Something: The Songs of Mose Allison, on Verve Records, and rockers like Pete Townshend, Bonnie Raitt, Ray Davies and Bill Wyman of the Rolling Stones have frequently cited Mose Allison as a major influence. His most recent Grammy nomination was for one of his two newest recordings, Mose Chronicles, Live in London, Vol. I on Blue Note Records. Mose Chronicles, Vol II was just released last year. Also, British born Director Paul Barnays has produced a one hour documentary on Mose, entitled Mose Allison; Ever Since I Stole the Blues, for the BBC4 in the UK. Among recent releases are a dozen reissues on CD including Allison Wonderland and a double CD retrospective on Rhino, and High Jinks, a three CD package on Legacy. 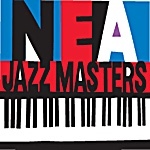 Blue Note has also re-released a collection of past recordings, Mose Allison, Jazz Profiles. His music has often been used in movies, and he can be seen performing in the recently released movie, The Score, starring Robert DeNiro and Marlon Brando. Mose resides on Long Island with his wife Audre where they raised four children: Alissa, an attorney, John, a telecommunication specialist, Janine, a psychiatrist, and Amy Allison, also a successful and respected singer songwriter in New York with her own group. As one writer recently said: Mose is now at the peak of his performing career. Although maybe this last statement is not quite true as he seems to continue to improve on perfection. In 1956 Mose migrated to New York where the jazz scene was taking off. He staked out an artistic and musical niche that was both respected and unique. Today, many in the industry view Mose as a musician's musician, a singer's singer and a songwriter's songwriter. Mose is still playing over 150 dates a year and considers his 40 years on the road performing as on the job training. In the states Mose has a loyal following but, it was in England during the 1960's where Mose got the attention of many soon to be British Invaders. The Yardbirds, The Who, John Mayall's Bluesbreakers and others would soon be covering his songs. Someone said to Mose once, You were a social critic before Dylan; you were satirical long before Newman; you were rude long before Jagger; why aren't you a big star? Mose's answer to that was, Just Lucky, I guess. Mose's popularity in the states has been on a slow and steady rise. As the man himself wrote, If you live, your time will come. Perhaps Mose's time has finally come. 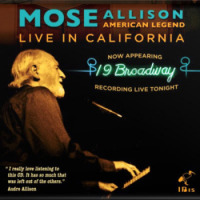 In a twenty month period covering 1994-5, a biography on Mose entitled, One Man's Blues, has been published in the UK, a studio CD on Blue Note was released entitled, The Earth Wants You, a live set from the seventies was released on indie CD entitled, Pure Mose, Rhino Records released a two CD anthology entitled, Allison Wonderland and finally a three CD boxed set from Sony, High Jinks! Trilogy. Certainly it is wonderful time to be a Mose fan. All About Jazz musician pages are maintained by musicians, publicists and trusted members like you. Interested? Tell us why you would like to improve the Mose Allison musician page.